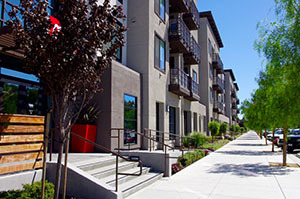 vanderToolen Associates Inc., (vTA) is an award-winning landscape architecture firm with offices located in northern California, that provides landscape design services throughout the world to private developers and public agencies. Incorporated in 1996, vTA was established to provide its clients with innovative, enduring and quality design solutions that are delivered in a timely manner within established budget and program requirements. vTA places a high priority on maintaining its commitment of providing personal and responsive assistance that defines our belief in offering unparalleled professional services. vTA, a team of landscape architects, designers, cad technicians, irrigation designers and professional support staff, has the proven ability to manage complex design challenges. Integral to vTA’s culture is the team approach that manifests through all phases of work, including initial landscape planning, site analysis, interactive community meetings, project-theming, conceptual design, construction documentation and project certification.